A One Time Donation Can Meet The Ongoing Needs For A Multifaceted Ministry And Entire Communities | Freedom's Hope Ministry, Inc.
Our organization is registered with “Ministry of Social Welfare, Gender and Children Affairs”, and registered with “Ministry of Agriculture Forestry and Food Security” since the year 2014, in order solve the problem of: food insecurity, food shortage, and to fight Hunger, Poverty and starvation. We also work with local farmers, to improve agronomic practices among our local farmers and introduction of high yielding crop varieties as a means to combat food shortage, We also empowers men and women farmers so that they will be able to stand on their own feet. 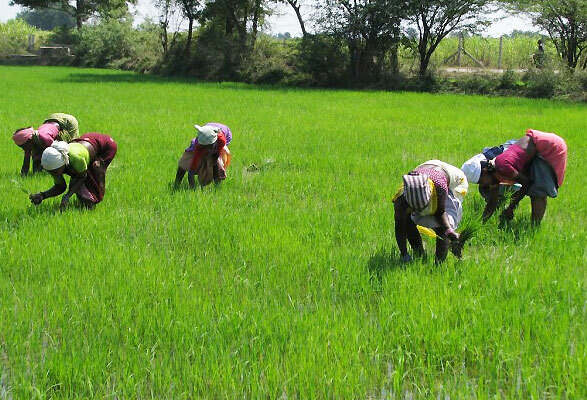 We also provide loans , fertilizers, rice seed, and fund the small scale farmers to process and market their products . Rice and cassava is Sierra Leone staple food, and has added value to our Gross Domestic Product. In fact Sierra Leone exports rice and cassava to neighboring nations in West Africa. For the last 20 years we import rice which cost our Government $200 million yearly. This is due to neglect of agriculture and now we are experiencing food shortage in Sierra Leone as a result of this. Our organization has decided to embark on large mechanized farming to feed the nation. A total of 60 acres of land has been acquired for rice cultivation and 10 acres of land for planting cassava in our communities. Mapaki land is the best soil in Sierra Leone; Sierra Leone also has the highest Rainfall in West Africa. Our ministry has decided to empower our farmers in modern techniques of farming that will lead to bumper harvests and alleviate poverty and hunger. We therefore call on organizations, nongovernmental organizations (NGOs), international nongovernmental organizations (INGOs),ministries, and international communities to FUND AND SPONSOR THIS LAUDABLE PROJECT IN SIERRA LEONE.